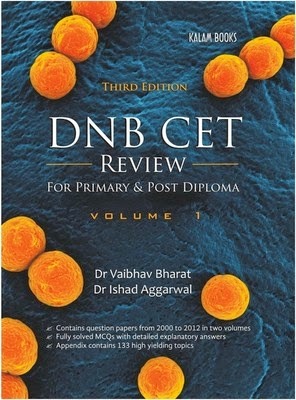 DNB CET Review : For Primary and Post Diploma - Volume 1 & 2 3rd Edition is a book authored by Vaibhav Bharat and Ishad Aggarwal. The book is essential for students who have got their degree in MBBS and need to apply for a Postgraduate course in the medical field. Dr. Vaibhav Bharat is an expert in the field of medicine and has authored and co-authored books like DNB CET Review 2013 Supplement, DNB CET Review 2012 Supplement and Recent Papers of Medical PG Entrance Exams. 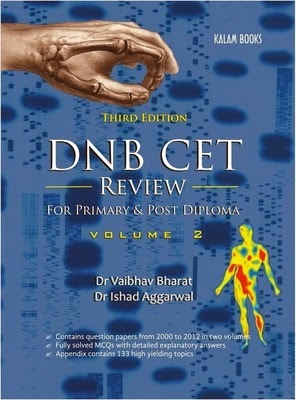 Dr. Ishad Aggarwal has used his expertise in the field of medicine to author books like DNB CET Review 2013 Supplement and DNB CET Review 2012 Supplement.